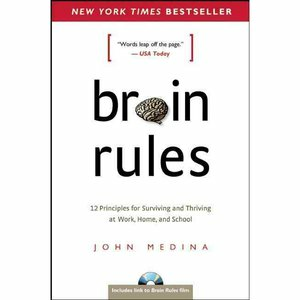 No worries, if you haven't read the book, there are amazing resources related each of the 12 "brain rules" on John Medina's website. Come and join a lively discussion. NOTE: You can support The TLT Group indirectly by purchasing books from Amazon via links in our recommended reading list or shop using this AmazonSmile link. Amazon will then make a donation to the TLT Group.